NHAI has not revised the rates for cars, trucks and mini buses this time, though we are facing huge losses at the toll plaza every day,” MCEPL chief S Raghuraman said. GURUGRAM: NHAI has revised fares for vehicles crossing the Kherki Daula toll plaza. While single passage toll rates for cars and mini buses haven’t been changed, trucks and buses will have to pay Rs 5 more from April 1. Commuters getting monthly passes will have to shell out a bit more. 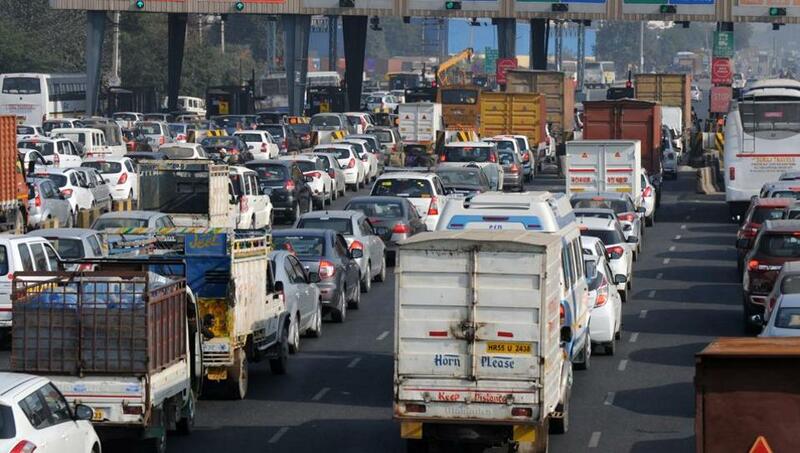 “NHAI has increased the monthly pass fee of cars by a nominal amount — from the existing Rs 710 to Rs 735. The increase of Rs 25 will help us maintain the expressway in a better way. Commuters should be happy that we haven’t increased the daily commuting fees of cars,” a senior official from concessionaire Millennium City Expressway Private Limited (MCEPL) said. Single passage fares for cars haven’t been changed for the first time since the toll plaza became operational in 2014. “NHAI has not revised the rates for cars and mini buses this time, though we are facing huge losses at the toll plaza every day,” MCEPL chief S Raghuraman said. According to the concessionaire, they suffer revenue losses of around Rs 3.5 lakh daily. The single passage toll fare for buses and trucks has been raised to Rs 195, while they will have to pay Rs 2,910 for a monthly pass, an increase of Rs 110. “According to a survey conducted by MCEPL last November, as many as 2,615 buses, 1,905 trucks and 52,567 cars cross the toll plaza daily. Heavy vehicles which cross the toll will need to pay more even though their numbers are lesser,” an MCEPL official said. Commuters, meanwhile, complained that though toll fares are raised time to time, the expressway concessionaire doesn’t provide even basic facilities to commuters. “Authorities aren’t concerned about improving toll plaza management services, only about raising fares. It is unfair to expect commuters to pay more for such poor services,” said Vivek Prakash, a resident of Sector 86. “Though the daily fare hasn’t been increased, it is of no use for many new sector residents who buy monthly passes. This hike will impact a lot of such residents, as they need to cross the toll several times a day,” added Manjeet Malik, a resident of Sector 93.